NEW!! 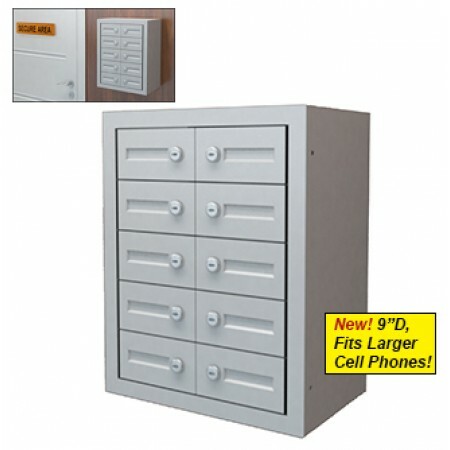 10 Door Cell Phone, Smart Phone Cabinet - 9"D for larger phones!. This attractive 10 door locking cabinet is perfect for cell phones, iphones, wallets, keys, digital cameras, pagers, and other small items. Perfect for the office, mail center, schools, medical and government facilities any place electronic devices are not allowed. 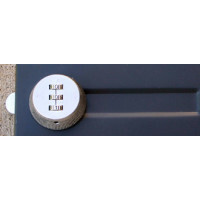 Choose from 3 different lock options: key locks which includes 2 keys per door, non locking thumb turns or combination locks. Order multiple units and create an inline system. 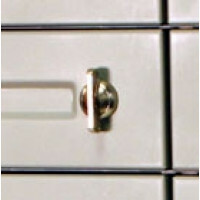 Units can be bolted side to side or top to bottom. • Wall mount or use as a stand alone on a desktop. • 10 Individual locking doors.